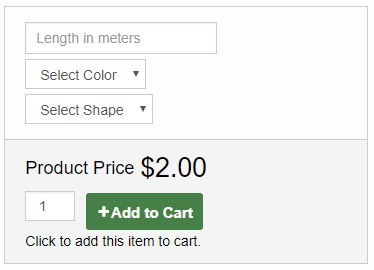 By default product variations show up as drop-downs near the add to cart button. 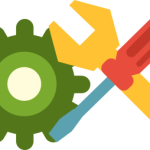 You can also define a variation to become a custom text field. As you can see in the screenshot above the customer can insert any value in the ‘length’ field. 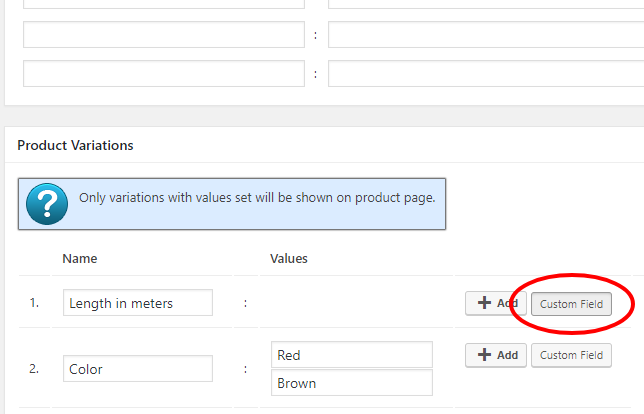 When you click the ‘Custom Field’ button near the variation it will become a text field so the user can insert any value. After the customer will check out the store admin will get this value along with the ordered product details.